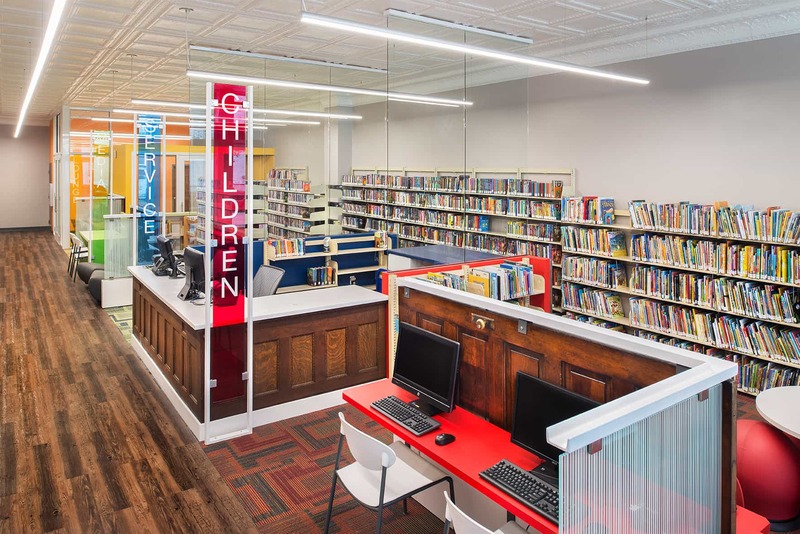 Located in a narrow, storefront building since opening in 1944, The Galveston Branch Library dreamed of attracting a more youthful patronage. 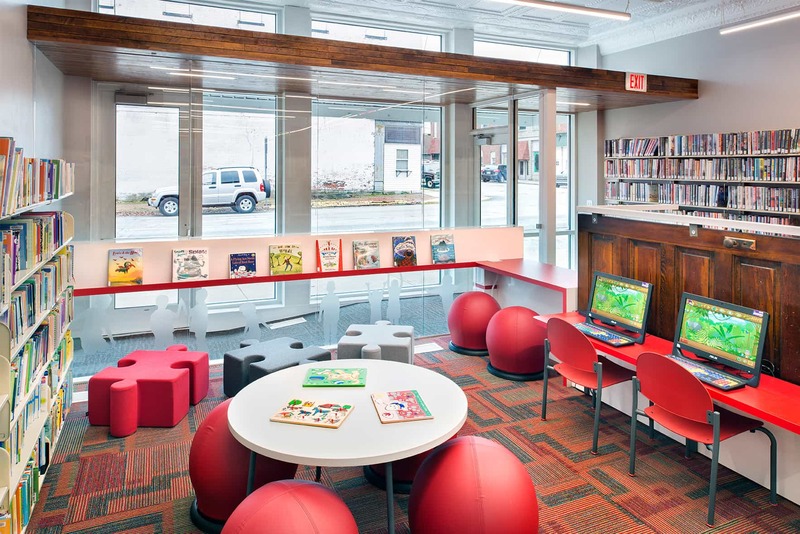 The transformation of their space created more defined functions and efficiencies, increased staff engagement and made visiting the library exciting again. A new ADA ramp was strategically incorporated to shift the primary circulation to one side of the narrow room and create room for an intimate children’s area – a key priority for the library’s programs. 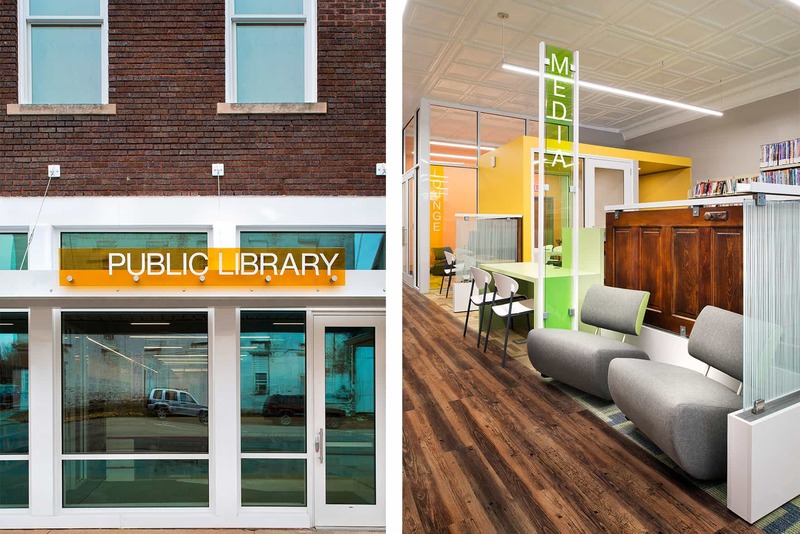 To be contextual and sensitive to the original building’s character, many of the building’s existing artifacts were incorporated into the new space. Combining new and old, the original interior oak doors became privacy screens, the circulation desk was created from original desk panels, and the existing tin ceiling was preserved and enhanced. Part of the building’s existing hardwood floor was also re-purposed into an entry ceiling. This new entry canopy forms a deep ‘sun shade to light shelf design’ which bounces natural daylight deep into the narrow space. This, paired with the linear LED lighting, bold colors and transparent walls, floods the library with light throughout the day.